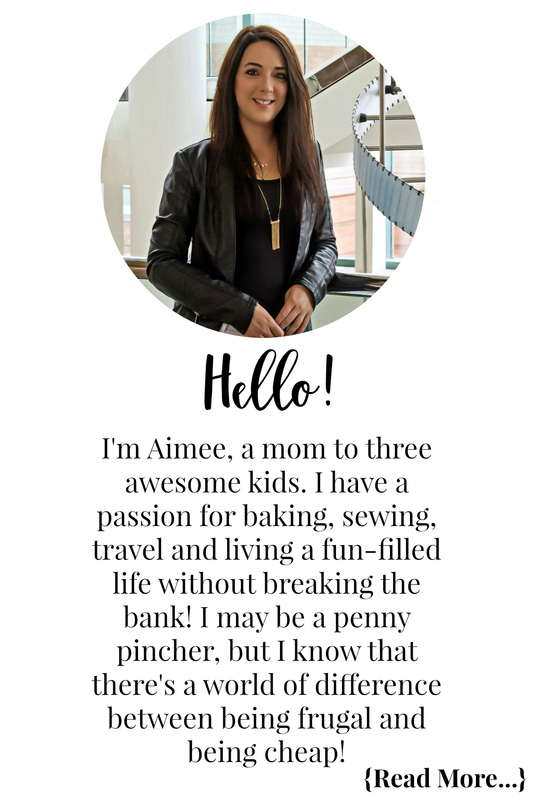 If you are looking to save money this year Checkout 51 is a must-have money saving tool! 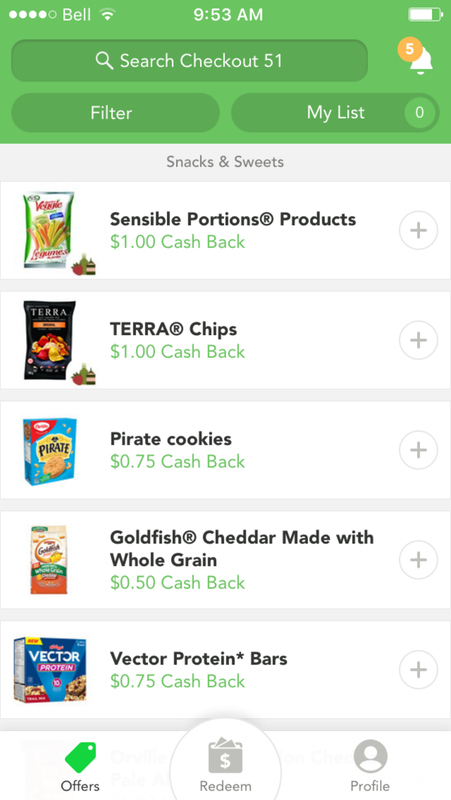 One thing I love about Checkout 51 is that you don’t need a smartphone to join or earn cash back. 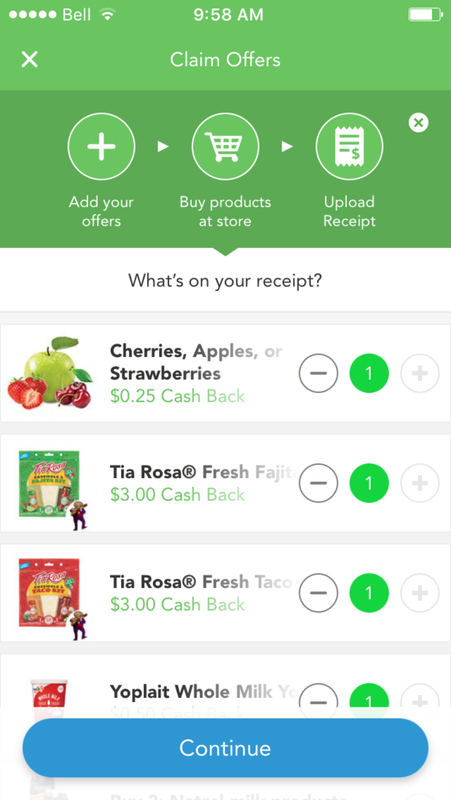 While they do have an apps for Android and Apple devices, you can also use their web version to upload receipts and earn cash back. I have been a long-time member of Checkout 51, we are talking from the beginning when they were in testing mode. 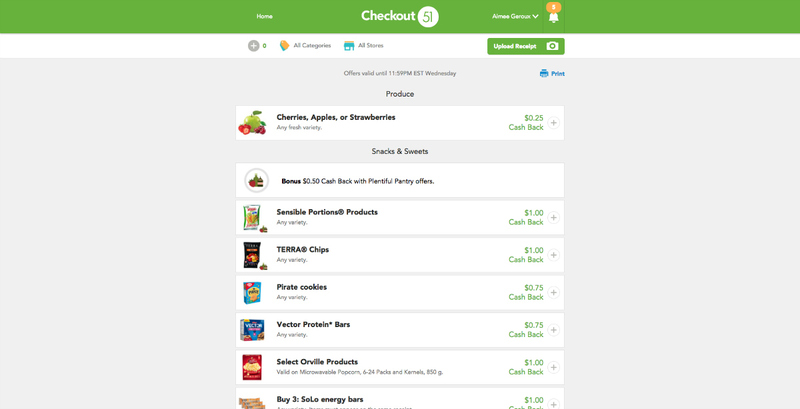 By using Checkout 51 I have earned hundreds of dollars in cold hard cash for buying things we normally buy. 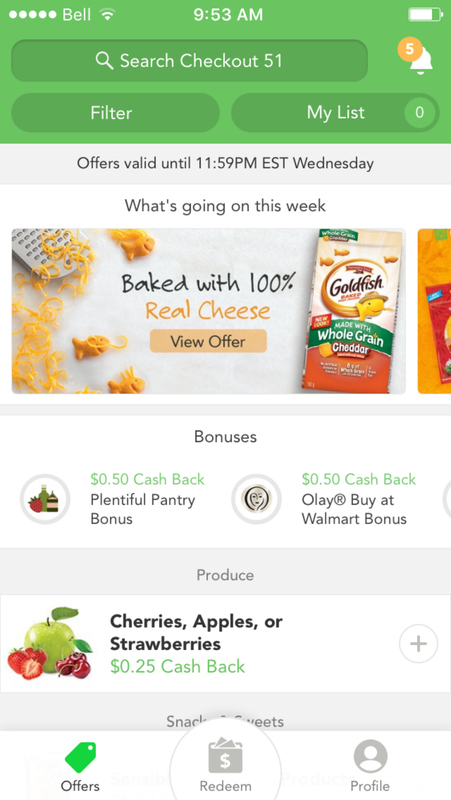 Checkout 51 has also introduced me to a few new products and brands along the way that are now staples on our weekly grocery list. If you would prefer to use the app on your android or apple devices, you can download the app via the links below! Sign up for Checkout 51 online, and if you choose to download the app later you can just log in with your details! I logged into the web version with my current account to give you a little view of what it looks like and how it works. It’s very similar to the app, so if you get that later you’ll be good to go. After you sign up and log in you will see the above on your screen. It will show you what current offers are available and how much the cash back amount is. To see more details about a specific offer you simple click on it. If you don’t want to scroll through the full list of offers, you can click on All Categories and then select the category of the offers you’d like to view. You can also view offers based on what store they can be purchased at. For the most part you can purchase the item at any store. There are some offers from time to time that can only be purchased at specific stores. So you will want to read the offer fully to ensure if the item has to be purchased at a specific store you do. 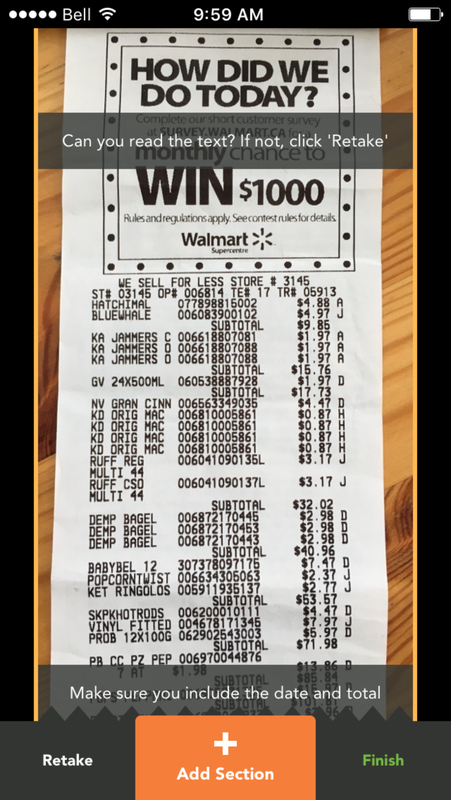 When you are ready to upload a receipt, simply click on Upload Receipt on the screen and follow the directions. They show you how to take good photos to ensure they are processed correctly. Once you have seen how to take a good photo you can click on Got It? Let’s Go to upload your receipts. The next screen is where you will upload your receipt photo files. You will click on Choose Image File and locate the picture or pictures on your computer. Once you have finished uploading your picture(s) you will check off which offers you are claiming, and then submit for processing. The app is very similar to the web version. When you sign into the app you will be brought to the above main page. It will show what is going on that week, any bonuses, as well as the main list of all offers. As you scroll down the main list you will see that the offers are sorted into categories. If interested in an offer you simply click the + button and it will be added to the My List area. 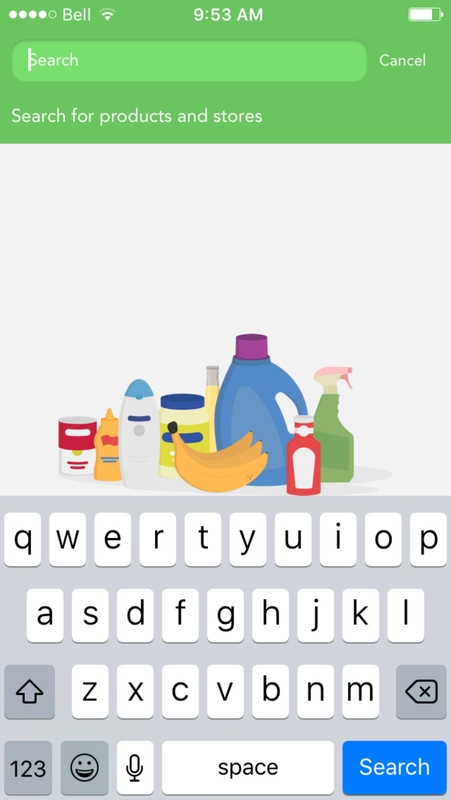 You can search for specific or stores using the search bar. 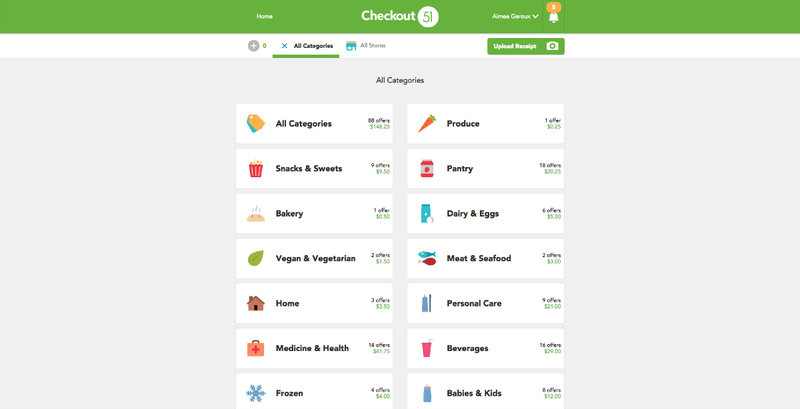 Using the filter option, like the online version, you can filter offers based on stores or categories. You can view all the offers you are interested in (the ones you clicked on the + button) in your my list area. When you have purchased the item(s) and are ready to claim your cash back simply click on Redeem. 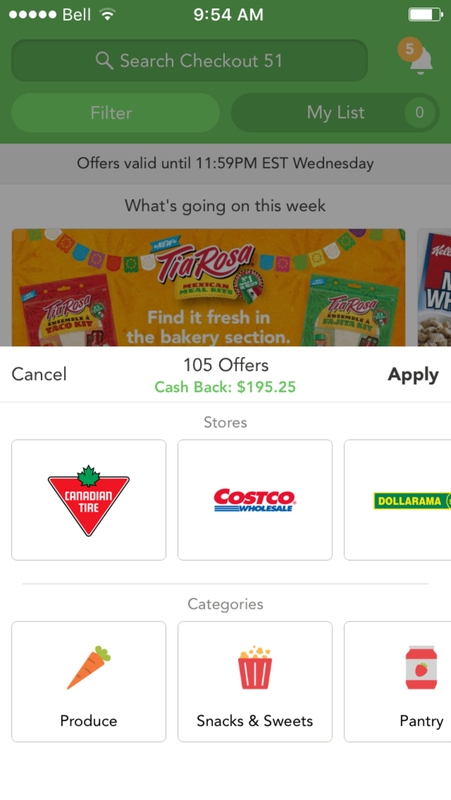 It will take you to the list of the offers in your my offers area and you just tap on the circle beside the ones you are claiming on that receipt! Sometimes offers allow you to claim more than one, if that is the case and you purchased more than one you can adjust the quantity before continuing. Once you have selected the offers and clicked continue you will be brought to this screen. It gives you some tips on taking good photos. When you are ready to snap your receipt hit OK, got it! Last step is to snap the photo(s). 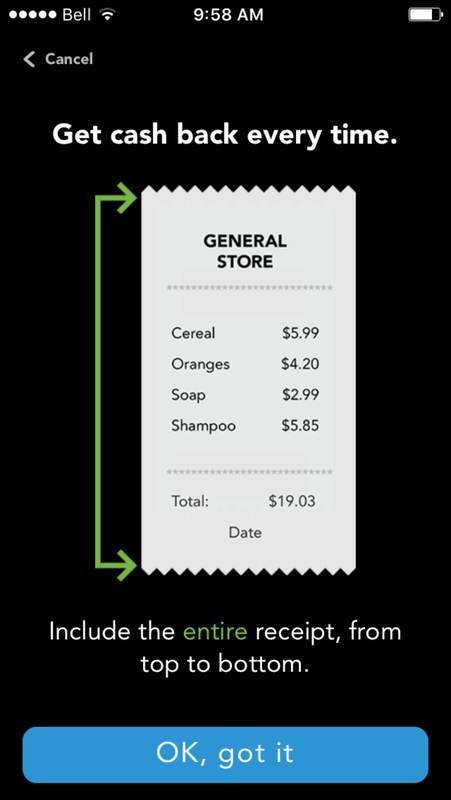 If your receipt is long you will take one photo at a time and then hit add section. After you capture your full receipt hit finish. Once processed, your cash back will show in your account balance. When your account reaches $20, you become eligible to cash out. Money is sent via a cheque in the mail to the address you provide during the cash out process. You can cash out every single time you hit $20, or let it accumulate to cash out for a larger amount. To request your money go to the account page online or in the app and click on the cash out button. 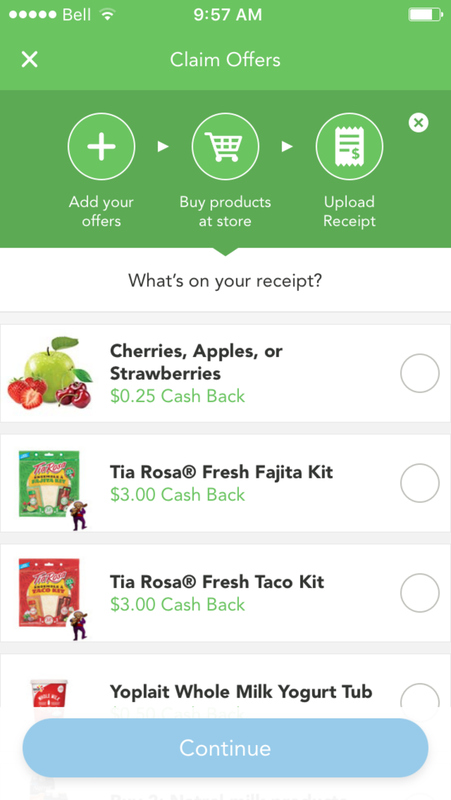 Earning cash back with both the Checkout 51 app or web version is as Easy as 1, 2, 3. 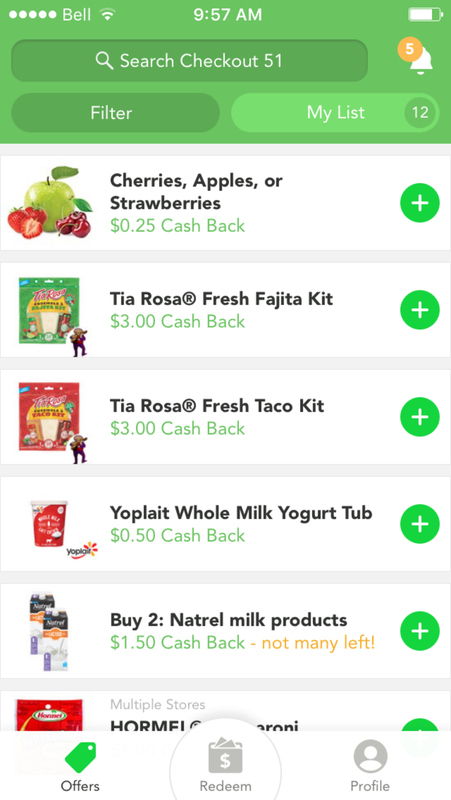 Click here to find more great apps to save time and money!